First of all – I have an awesome and delicious collection of recipes for your enjoyment. Check out these fabulous 12 summer fresh recipes with fruits and veggies. Perfect for those gorgeous and warm summer days (and nights). First of all – some of you may already know this, but a few months ago I started a coaching business. I am a Holistic Business Coach and I work with passion-driven solopreneurs to get their mission and message into the world. My focus is on the marketing aspect as well as the mindset and psychology aspect. You can learn more about me here. Since I’m huge on personal development but have a social media and content marketing expertise, these are the two most predominantly prevalent things I do with my coaching clients. I wanted to share with you something that you might find interesting for yourself or someone you know. I have put myself on a mission to speak with 100 people this summer and help each and every one of them. For free. 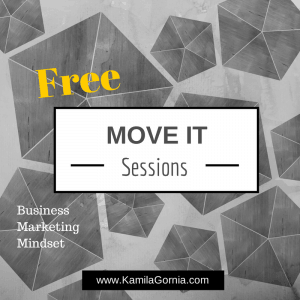 Sign up for a FREE Move It Session! If you’re curious to learn more, you can see more information here. Please pass this information along to anyone who might benefit from this. I’m about 10% done with my goal of 100 people and I would love your support in helping me get to the goal! if you have a biz and use blogging for your biz. Or maybe you’re a serious blogger who wants to make more money out of your courses and coaching clients, check out this resource. 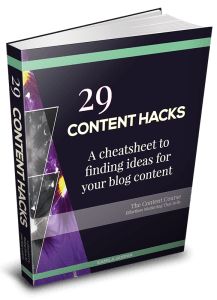 29 Content Hacks: The cheatsheet to finding ideas for your blog content <— it’s awesome! healthy strawberry cheesecake dip?! must check that out! Good luck with your new business! 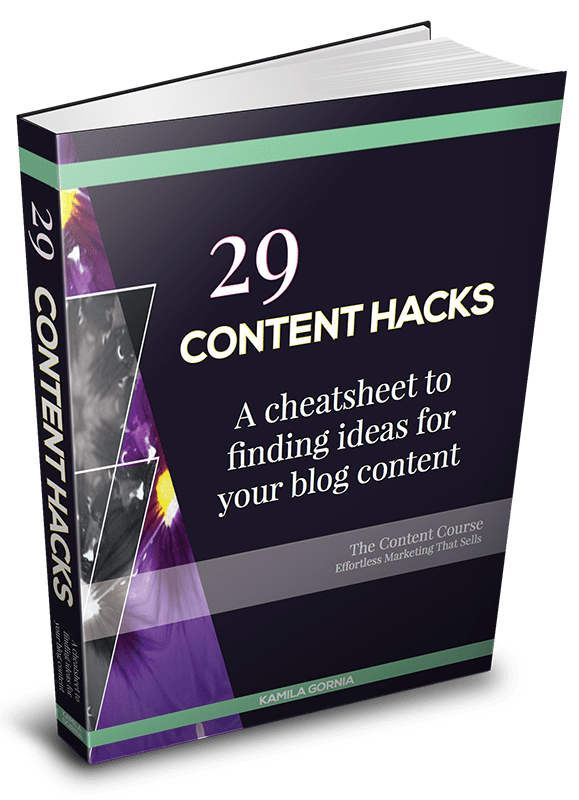 Thanks for the great links in the article I am definitely going to look at the one about finding ideas about blog content. I also signed up for your newsletter- I don’t want to miss something! Thanks! Aw thanks Mary! 🙂 Glad it could help!